Bumping this topic with a new chart, done correctly. 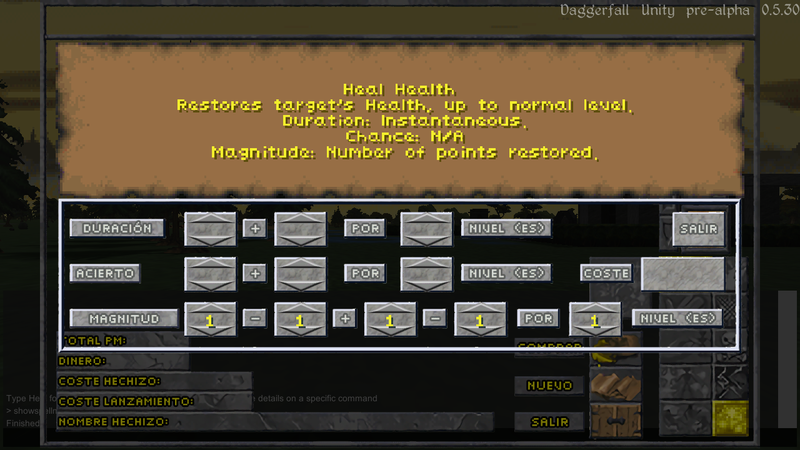 If you have a US keyboard, then is how Feralwarlord said, but if you have an ES keyboard, then you can open it with "ñ"
No, when you start DFU for the first time, you have to select the folder where is classic daggerall installed. I'm going to make a request, if you're doing the biography feature, I'd like you to make them easily editable for translators, just like the quests .txt and the .txt in the Text folder. Well, it's working fine, but of course, there's a lot of things in the spellmaker that I don't know what they are, I'll have to watch a tutorial or something.